It was 2013 when Edward Snowden, former CIA employee dumped tons of classified files exposing NSA and other agencies constantly monitor your every move. Your phone calls, text messages, chatting, etc. are all under surveillance. This broke the trust on the US government, and many showed skepticism on what’s the need of constant surveillance. Fast-forwarding 5 years, it became very easy for anyone to tap your phone calls, hack into your PC/laptop, etc. Where is our privacy? Leave about hacking your e-mail accounts and social networks as it needs social engineering skills, and what’s easy now is to record/listen your conversations on your phone. Without your permission, many governments are already doing it, and there’re people in dark web who can easily help you with this service but how exactly are you going to have a secure phone call? Obviously, we don’t have a satellite phone or a sophisticated network that gives an end-to-end encryption. So, how are we going to do it? 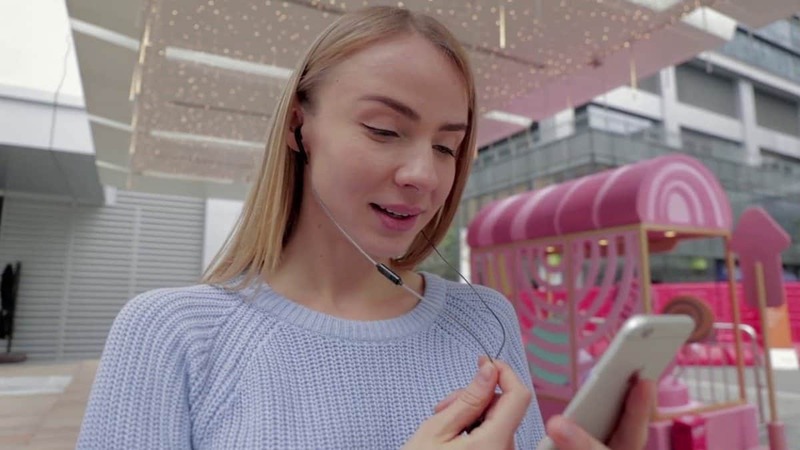 Meet Outfone, an encryption earphone that provides end-to-end encryption for all your phone calls and audio messages sent via text. It doesn’t matter which network you’re on, or the type of OS your phone uses, as long as you’re having the conversation via Outfone encryption earbuds. The cryptography used for the encryption is OTP [one-time pad] encryption key. It is automatically generated once the encryption button is turned on, and once the call is over, it’ll be self-destroyed. Meaning, there’s no way someone can listen or record your phone calls, and not even you have the facility to do it. To have a secure conversation over the phone, all you need is a pair of Outfone encryption earbuds. Inside it, there lie two main security chips, one is microphone signal encryption and the other is headset decryption. The encryption and decryption of your audio calls are realized with dynamic frequency shifting in analog audio signals. Thus giving you complete privacy and there’s no way someone can eavesdrop on your conversation. With all these encryption features embedded in it, Outfone encryption earbuds is truly a revolutionary product to protect your privacy. Thus, the team behind it chose the crowdfunding website – IndieGoGo to launch it. As an early bird offer, the double pack of earbuds is being offered at just $179 while the single one is priced at $119. I don’t have to say how useful the earbuds are, and if you’re one among many who wants to protect their privacy, then I highly recommend backing the campaign. So, what are you waiting for? Head over to the campaign page and get yourself Outfone encryption earbuds. Next articleMobiistar XQ Dual Review – Comes Under Budget, but there’s a CATCH!